It is hard trying to find the perfect ASVAB study guide for your situation. 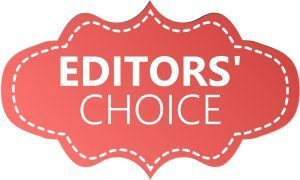 There are so many different options, features and prep book companies to choose from. 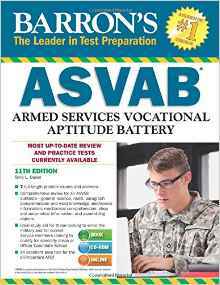 The ASVAB, the Armed Services Vocational Aptitude Battery, is a tough exam and has a big say on your future military career, whether it be in the Army, Air Force, Navy or Marines. 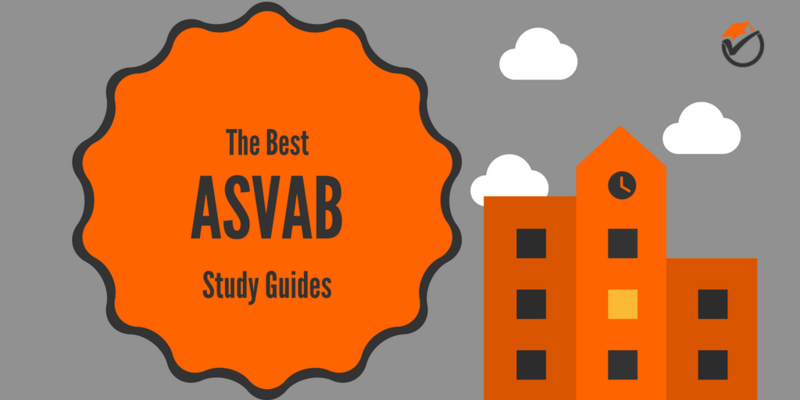 Because of these reasons I have created this list of the top rated ASVAB study guides. All of the info below should make it very easy to choose which prep book is right for you to prepare for the exam. 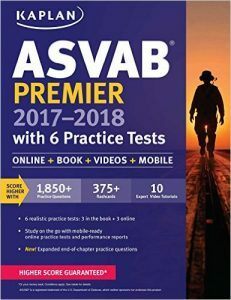 Kaplan ASVAB Premier is our best overall and best value prep book on our list of the top ASVAB preparation guides. One major strong suit about Kaplan's is that it has a gargantuan amount of practice problems. With over 1,800 practice problems and 6 full-length practice tests, you should never run out of questions to practice with. This repetition will really prepare you for exam day. Also, the answer explanations for all of these problems are very in-depth and detailed. Learning from your mistakes is one of the top ways to learn and this book really allows you to do that. Along with all the practice questions you get an all-inclusive and in-depth subject review on all of the topics included in the exam. Nothing is left out. Because of this, this is the only review book that you will need, no other supplement guides are needed (helping to save you money by only having to buy one guide!). One main shortcoming of this preparation guide is that there are some errors and misprints in the question and answer section. It may be confusing when you think that you got an answer correct but the answer section says that you got it incorrect. This sometimes wastes your time because you go through the question multiple times but then in the end you figure out that you were right all along, but were confused because of the wrong answer given. 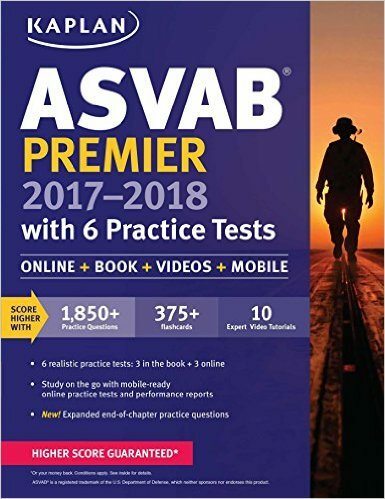 Although with this one imperfection, Kaplan ASVAB Premier has many strengths that make it our best value and best overall pick on our list of the top rated prep guides. 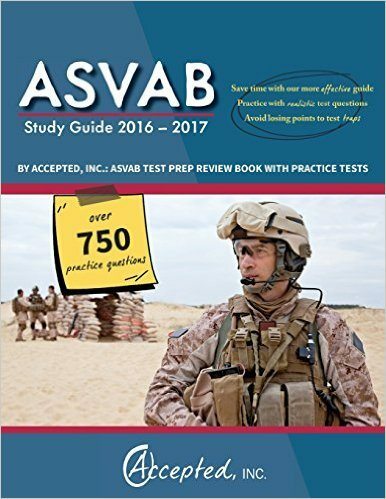 Barron's ASVAB is our 2nd overall prep book on our list of the best practice books. One strong point of Barron's is that the theory review and explanations are very detail-oriented and thorough. This thoroughness really helps you to absorb everything that you need to know for the exam. Learning from your mistakes is crucial, and this review guide really allows you to do just that. Every concept explanation is immediately followed by the practice problems. This really helps you a lot in checking and backtracking your weak points since you can go back and forth between the questions and the subjects. You can practice and review at the same time, a great time saver. It also helps you to be able to go back into the chapter and look up where you were wrong. Make sure to reread the section if you are missing a lot of questions in certain sections. This makes it easy to see what your secret weaknesses are. One weakness of this prep guide is that this prep book lacks diagrams and illustrations. This sometimes makes it difficult to go through the preparation guide since it reads so much like a textbook. Also, there are no flashcards like Kaplan’s guide (above). These flashcards are really useful for doing a quick cram or getting in studying on the go. Although this book has many strengths, it also has many faults. Because of this we rank Barron's as our 2nd overall preparation book on our list of the top ASVAB review books. 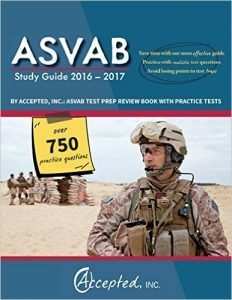 Accepted’s ASVAB Study Guide is our 3rd best overall prep book on our list of the top recommended ASVAB prep books. One asset of this preparation book is that it has an easy-to-understand review of all of the themes on the test. This analysis makes it really easy to prepare because you aren’t pulling your hair out in frustration from confusing prose or copy. Easy to understand material makes it a breeze to study for long periods of time. The review is really streamlined and concept driven. This makes sure that you'll get better results on the test through shorter and more effective preparation time. The prep book really skips over the fluff. Also, the insider tips section really makes this book stand out. These insider tips truly help you to not get tricked by the test makers on exam day. You will not waste time learning things that you do not need to know. Make your study time more efficient! One flaw of this review guide is that the summary is not as comprehensive as other prep guides. At only 324 Pages, this prep book does not have enough length to meticulously go through all of the topics. If you are looking for an in-depth rundown you may need to supplement this prep book with another review guide. If you just need a quick overview, however, this guide may be perfect for you. Although with this blemish, Accepted’s does have many strengths. Because of this we rank Accepted’s ASVAB Study Guide as our 3rd overall prep book on our list of the top ASVAB review books. 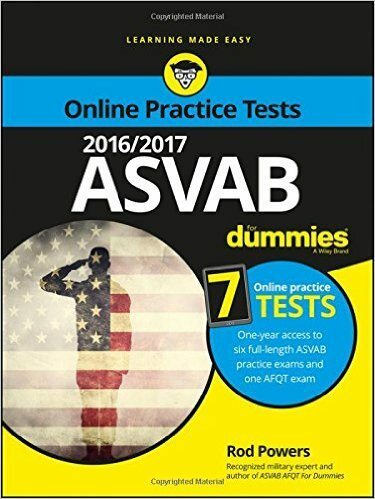 ASVAB for Dummies is our 4th best overall prep book on our list of the top ASVAB preparation guides. One main positive of this prep book is that there are tons of practice tests. With 7 online practice tests, this preparation guide will give you tons of repetition to be ready for exam day. Practice questions are one of the best ways to learn and the easiest way to improve your weaknesses. Another strength about Dummies is that the concept overview is very easy to understand and comprehend. At only 456 pages, Dummies does not have enough length to cover all the topics comprehensively. But they are very easy to understand which helps you to get a higher score on the test. The one main fault of Dummies is that the sample test questions are not very exam-like. This can sometimes be frustrating on exam day when you are surprised by questions that you are not ready for and that you have not prepare for. Although, Dummies has some strengths, it also has some weaknesses. Because of this we rate ASVAB for Dummies as our 4th overall prep book on our list of the top ASVAB study books. Master the ASVAB is our 5th best overall prep book on our list of the best ASVAB prep books. One positive about this review guide is the diagnostic test. This diagnostic test is very good for helping you to figure out your weaknesses. When you know your weaknesses you can focus your preparation on those things that you can improve to get a higher score on the exam. This really allows you to save time studying since you don't need to practice the topics that you already have a good grasp of. The concept review is also really comprehensive and in-depth. This deepness makes sure that you know everything that you need to know for exam day. However, there are a ton of topics that are not very likely to show up on the exam, which could waste your time. The one main weakness of this book is that the subject chapters have a lot of fluff and empty space. This really wastes your time because you are learning things or topics that you do not really need to know for the exam. It would be a lot better if all of the paragraphs in the book added value to your preparation time. 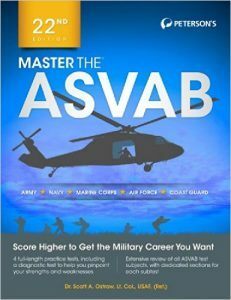 Because of this, we rank Master the ASVAB as our 5th overall prep book on our list of the top ASVAB preparation books. Just buy Kaplan's. 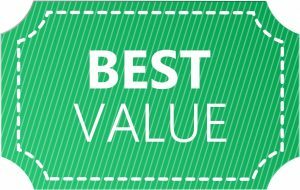 All of the guides are of similar price and this one is the best of the bunch.